If you are 16 years of age or older in the state of Kentucky, then you are eligible to get a driver’s license. You can sign up for a Kentucky Driver’s Education course after you get your driver’s learning permit. The course will teach you quality driving skills that can last a lifetime. Learning to drive safely, correctly, and developing good driving habits can save your life while you’re on the road. 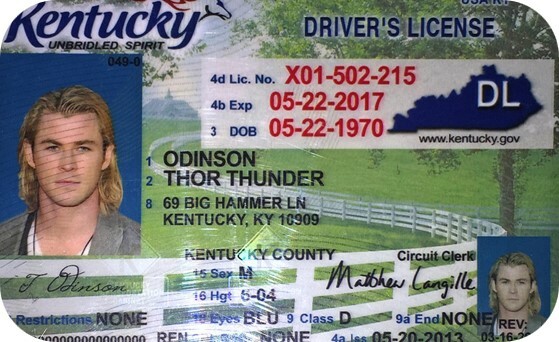 If you have never had a driver’s license before and are between 16 and 18 years old, here are some steps so you can take to get your Kentucky Driver’s License. •	Students must also get and present a School Compliance Form if under 18 years old. •	If you are under 18 years of age, a parent will have to give consent for you to get a driver’s learning permit. •	Students will also need to complete a Kentucky Drivers Ed course. If you’re already an experienced driver and just relocating to Kentucky, here’s a few steps you will need to take to get your Kentucky Driver’s License. •	You have 30 days to transfer your license. •	Show proof of identity and Kentucky residency. •	You will need to take a written exam and it is recommended to study the Kentucky Driver Manual prior to taking the exam as you need at least an 80% to pass. •	Kentucky Drivers Ed courses are available if you’d like to freshen up on your knowledge, skills and good driving habits. A driver’s learning permit allows you to drive with supervised driving to practice and learn about the responsibility of operating a motor vehicle. To obtain your learning permit, you’ll need first to study the Kentucky Driver Manual. After you feel you have studied and are knowledgeable, then you will need to take and pass a written exam. You need a score of 80% or more to pass. This exam will test your knowledge of traffic laws, road signage and safe driving methods. If you do not pass the written test, you may take as soon as the next day. •	You cannot drive with more than one person under age 20 in the vehicle with you unless they are related. You can begin the Kentucky Drivers Education course after you receive your driver’s learning permit. As you participate in a Kentucky Drivers Ed course, you’ll learn all about driver safety and awareness. This one course can reduce your insurance premiums, depending on your insurance provider. The knowledge you gain can provide you with wisdom and confidence. All of this can help prepare you for the challenges of passing the driving test to obtain your Kentucky driving license. It also helps prepare you for future driving circumstances when you are driving alone. You may be read to get your Kentucky Drivers License. This means you have had your learner’s permit to practice driving for at least 180 days. You have also completed a Kentucky drivers ed course. When you enroll in a Kentucky Drivers Ed course, it is a huge step forward toward obtaining your Kentucky Driver’s license and becoming a safe Kentucky driver.